Can you improve on perfection? Land Rover does with the announcement of an exciting new engine for the Range Rover Sport lineup. The powerful Ingenium family of engines is expanding to include a brand new mild-hybrid Inline six-cylinder engine to join the popular four-cylinder series. The 2019 Range Rover Sport is the first Land Rover to benefit from this innovative new engine. Melding the amazing performance of this powerful new engine and the capability of a luxury SUV, the Range Rover Sport is a must have for driving enthusiasts. The exciting new 3.0-liter turbocharged Ingenium Inline-6 engine features a new 48-volt electrical system that gathers energy when braking and stores it. It also features a robust electric supercharger that ramps up to 120,000 rpm in 0.5 seconds, almost eliminating turbo lag. A twin-scroll turbocharger receives energy from the electric supercharger. The 48-volt electrical system also delivers power to the efficient stop/start system. This amazing new mild-hybrid powertrain improves fuel-efficiency by an incredible 20 percent! The powerful new Ingenium engine produces 355-horsepower and 365 lb.ft of torque in the capable new 2019 Range Rover Sport SE and HSE trim levels. Acceleration has no boundaries with an available 395-horsepower and 406 lb.ft. of torque for the HST trim level. The Range Rover Sport HST, with the powerful new Inline-6 engine, clocks in with a time of 5.9 seconds from 0-60 mph. With a top speed of 140 MPH, this exciting new HST delivers heart-pumping adventure for performance enthusiasts. Enhance the sporty exterior of the HST with available carbon fiber trim on the hood vents, front grille, side vents, and tailgate. Customize a fuel-efficient Land Rover Range Rover Sport SE with the powerful new Ingenium Inline six-cylinder engine starting at $68,500. Custom order your performance-inspired HST trim level starting at only $82,950. 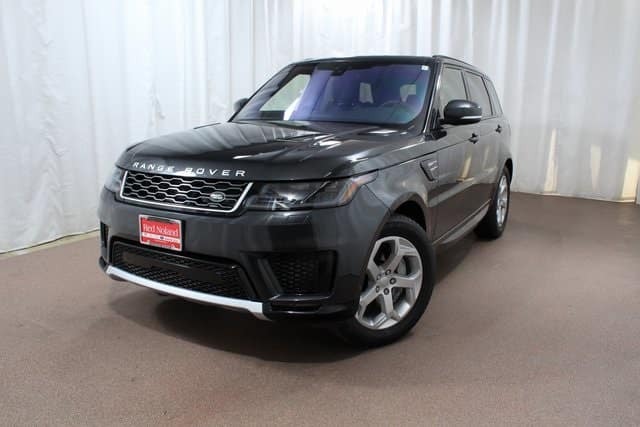 Our expert sales team at Land Rover Colorado Springs is ready to assist you with the purchase of your 2019 Land Rover Range Rover Sport today!